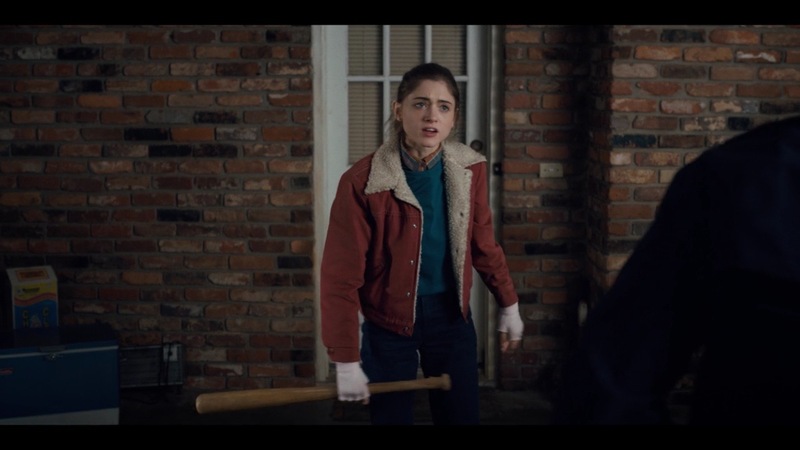 When the Stranger Things friend group in Hawkins, Indiana hit up their local arcade in Season 2, they’ll encounter an entirely new character to the show, one that might have growing importance for the story. At the very least, the new character will probably see the main group — a lot — because he works at the local arcade. Entertainment Weekly revealed several pages of the Season 2 script, as provided with annotations by the Duffer Brothers who run the show. In the scenes provided, Will, Mike, Dustin, and Lucas go to “The Palace,” the local arcade prominently featured in most of the trailers thus far. But the pages also introduce a brand new character: Keith. Keith works at The Palace and is a Cheeto-loving, acne-ridden nerd a little bit older than the kids — and he’s got a huge crush on Nancy. When Dustin realizes that somebody going by “Mad Max” beat his top score on Dig Dug (a real-life arcade game), he calls Keith over to learn more about his competition. Nancy can't handle all these men pining after her. She has more important things to do. In Season 1, we only ever really saw the kids playing Dungeons & Dragons in the basement, but in Season 2, they’ll branch out a bit more and spend a lot of time in this local arcade. Considering how heavy Strange Things is on the ‘80s nostalgia, it’s almost surprising an arcade hasn’t been featured on the show already. The scenes provided imply that the gang spends a lot of time at the arcade — mainly because Dustin’s been relishing in being the king of Dig Dug for a while now. This also could explain exactly how their classmate Max gets folded into their friend group in Season 2. Chances are, they might meet at this very arcade. The friends love to play games at The Palace in addition to their 'Dungeons & Dragons' hang-outs. At least in the first episode, we can expect a lot of scenes in the arcade along with any number of ‘80s arcade Easter eggs. Dig Dug is a real game that Dustin dominates at, so there’s always the chance that the other kids have their own games too. If the arcade is their new thing, that could also mean much less Dungeons & Dragons in Season 2. You’ll remember that they also named their interdimensional enemy “Demogorgon” after a D&D monster — and their entire adventure mirrored a game of sorts. Could the arcade, and even Dig Dug specifically, be the new metaphor for the Season 2 Big Bad? We’ll have to wait to find out.